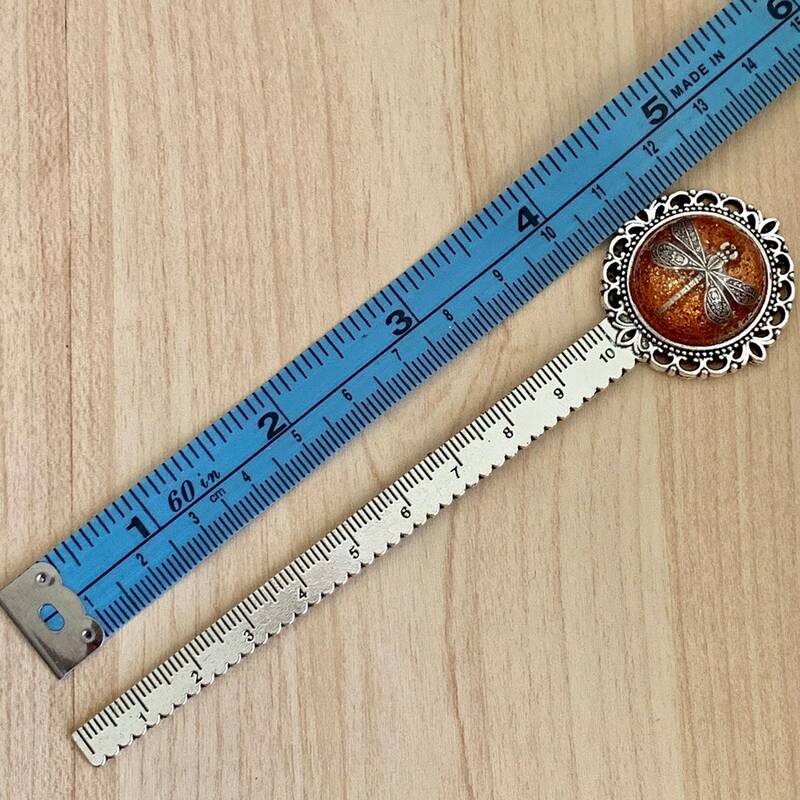 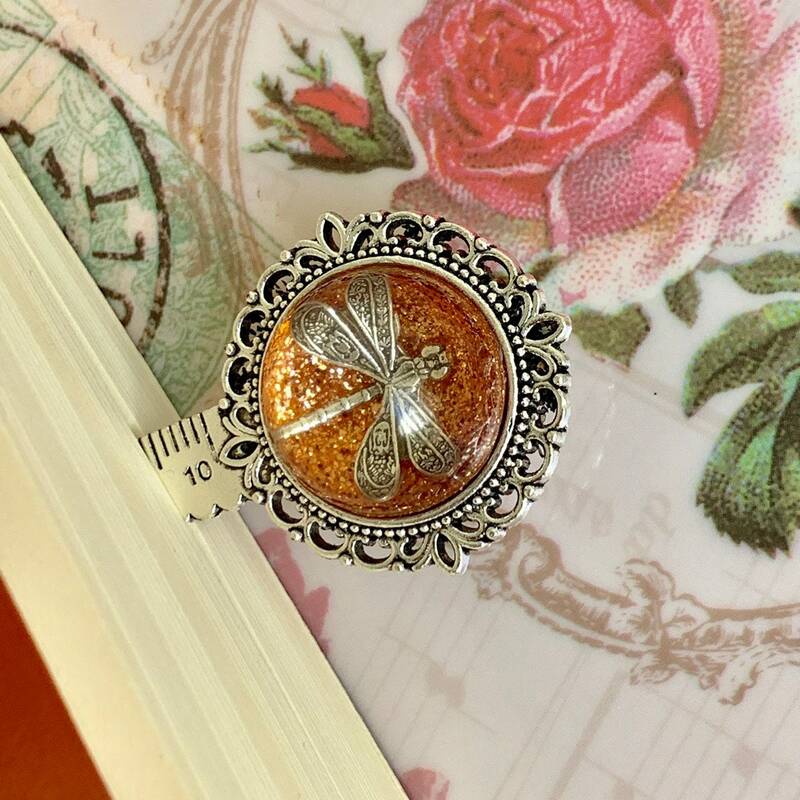 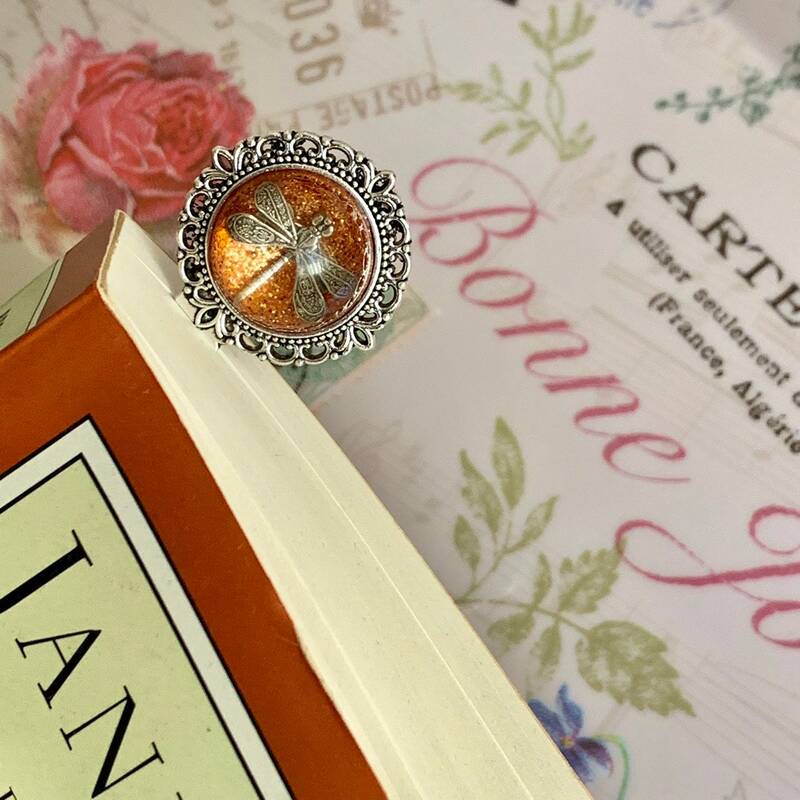 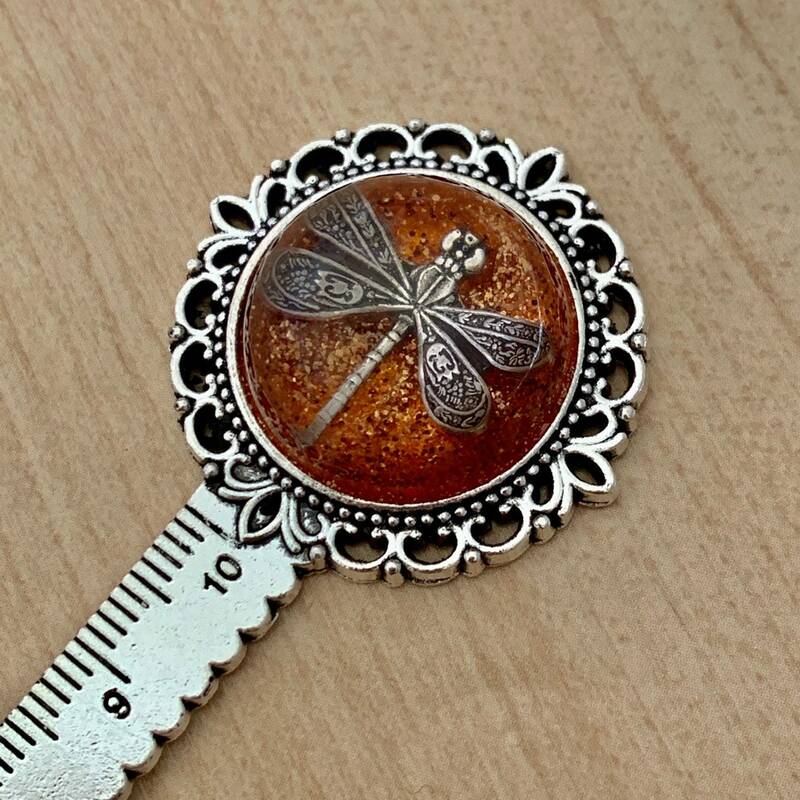 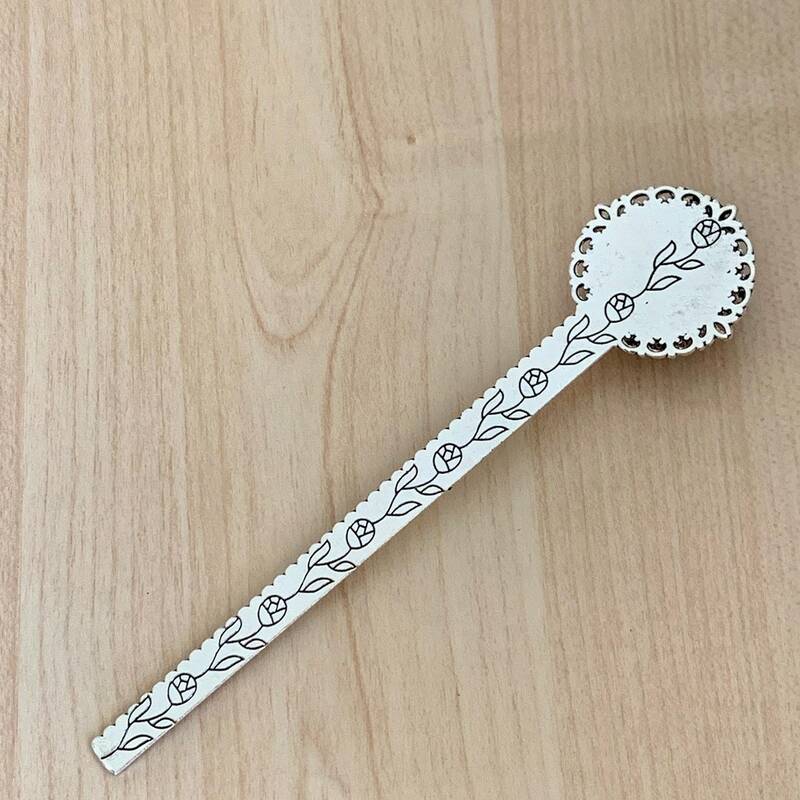 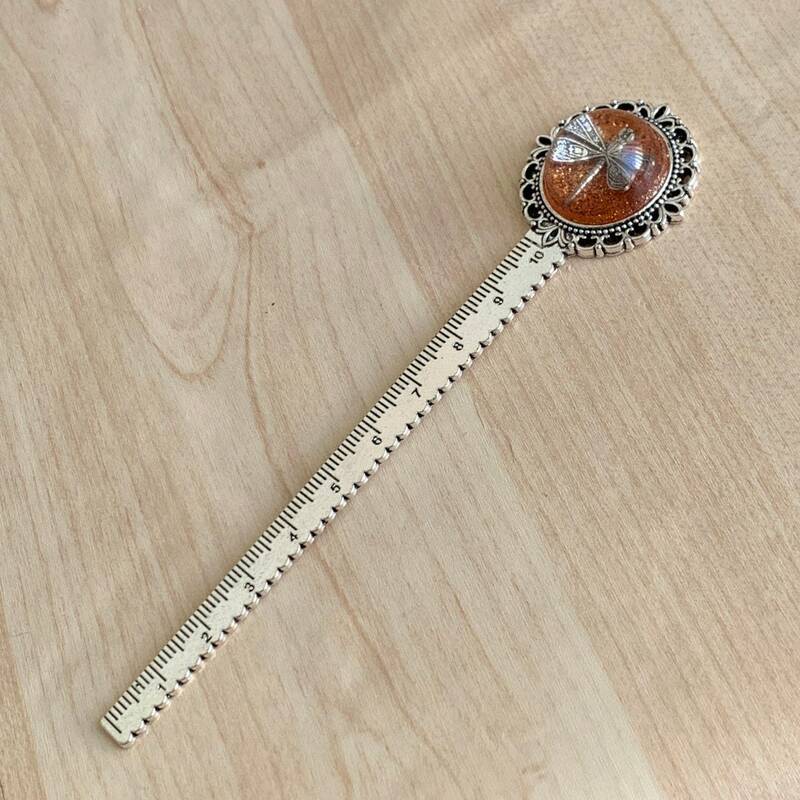 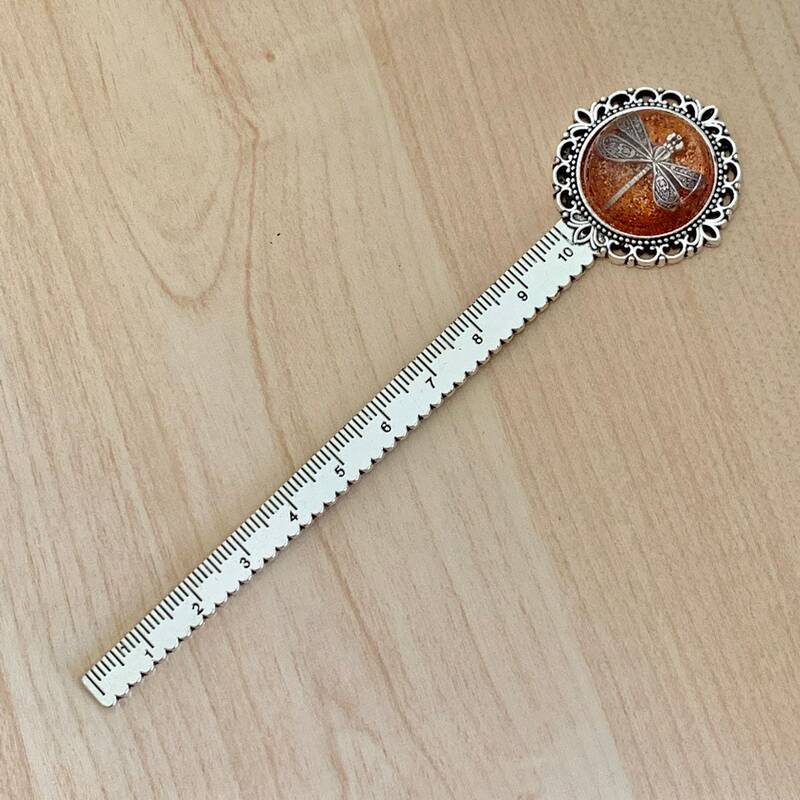 These Bookmarks with a ruler on them are made by hand with a Silver Dragonfly in Amber colored resin, Round half sphere on a silver filigree bezel. 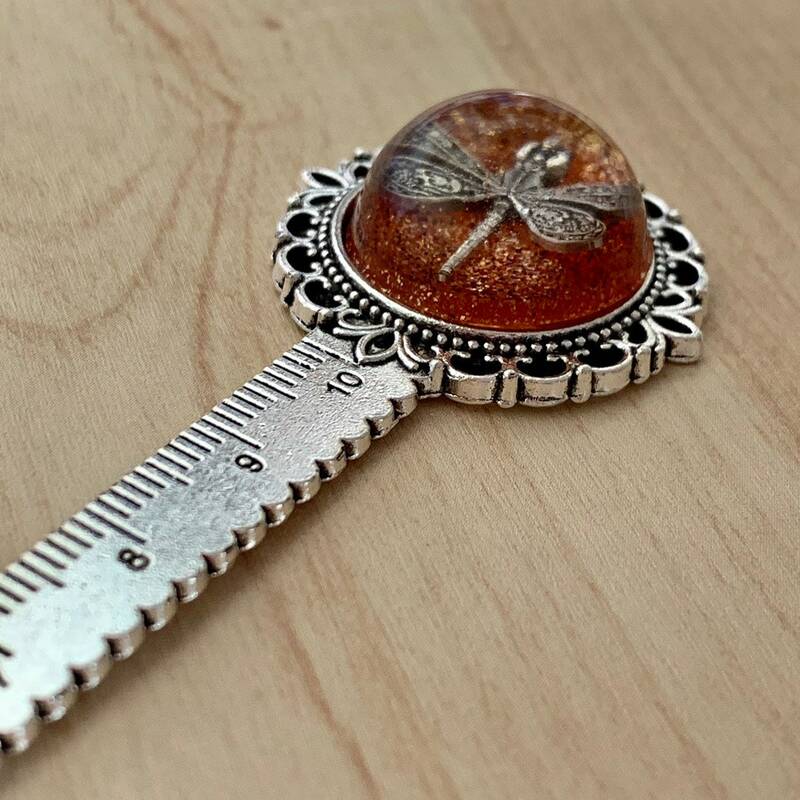 These Dragonfly suspended in Amber colored Resin are one of a kind Pendants. 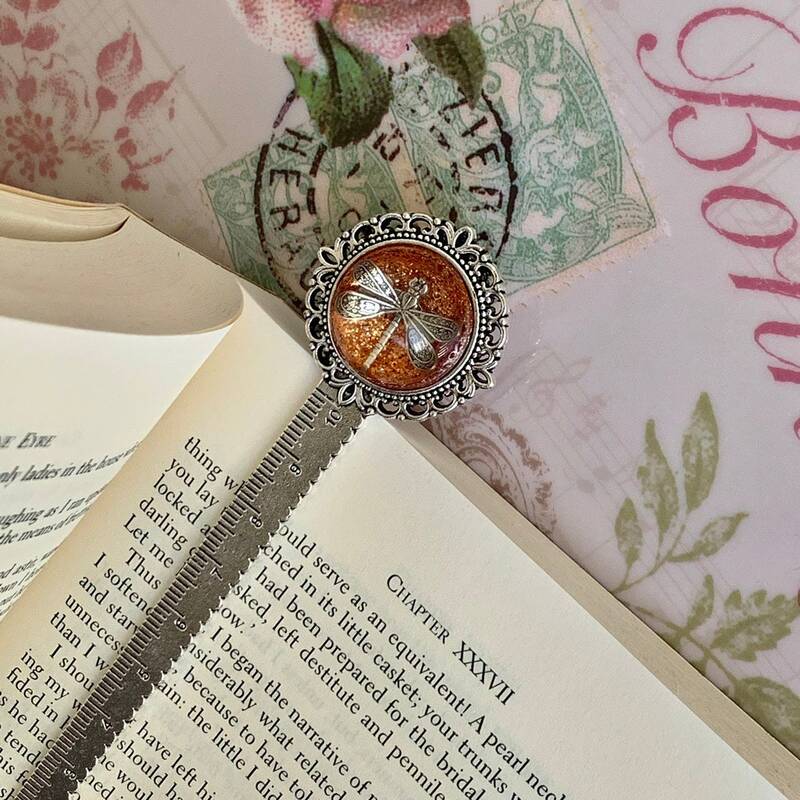 Inspired by Outlander but ancient in theory. 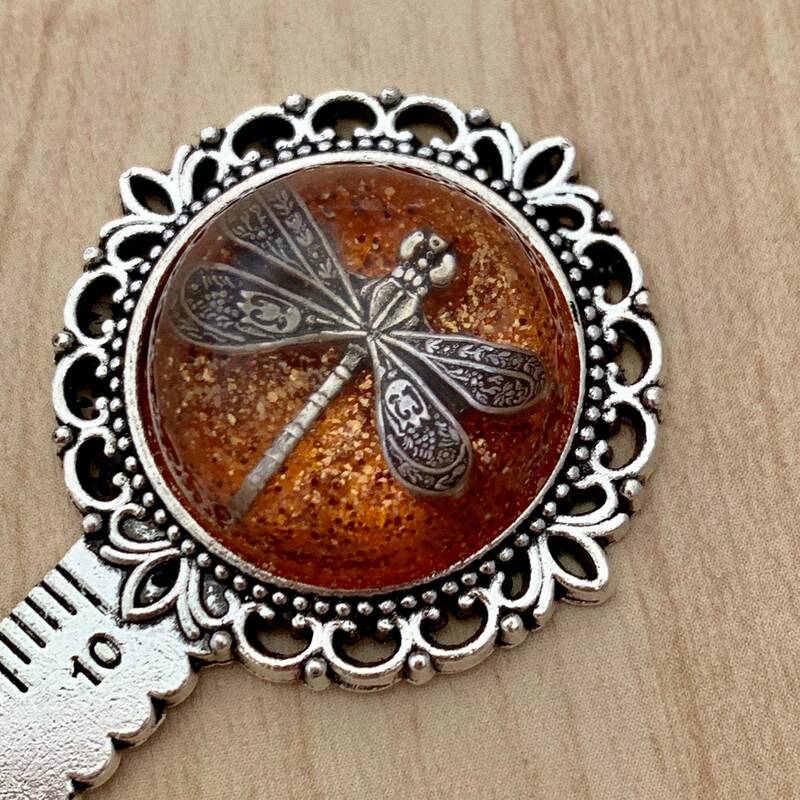 Many people associate the dragonfly with prosperity, harmony and as a good luck charm.